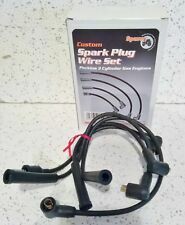 Custom Spark Plug Wire Set - Fits: Perkins 3 Cyl Engines. We have over 30 years experience in agriculture. Inner - 11013-7019, 11013-7045. We have over 30 years of experience in agriculture. We will work for you to get what you need. John Deere Models Z445 and Z465 ZTrak Mowers. John Deere Models GT245, GX255, GX335, GX335, X320, X324, X340, X360, X500, X530, X534, and 335 Lawn Tractors. Kit Contents For use on Engines with Serial # 140,001 and Up. Inner - TA040-93220. outer - TA040-93230. We will work for you to get what you need. Kat's Engine Heaters Lower Radiator Heater with 1-1/4 in. 1 year limited warranty. This Kit is for the following Models: BX23S (2016 Model year and newer) BX1880,BX2230, BX2360, BX2380 Models. 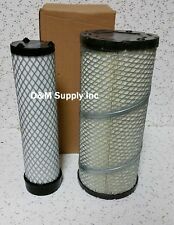 Qty Filter P/N Maker Manufacturer P/N. 1 Lube P502067 Donaldson HH150-32430. 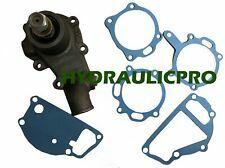 For sale is a NEW engine maintenance kit for the John Deere 1025R 2025R 2305 2320 compact tractors. We will work for you to get what you need. For sale is a NEW engine maintenance kit for the John Deere 2210 compact tractors. OEM Kubota Radiator K3181-85112. Fits the following Kubota models. Genuine John Deere RE217077 OEM Trans Oil Sending Unit, Pressure Sensor, NEW! P/N: RE217077. John Deere. 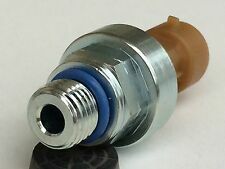 Trans Oil Pressure Sensor. 204, 205, 230, 231, 235, 240, 245, 250. MF 20, 35, 40, 50, 65, 135, 150, 202, 203. 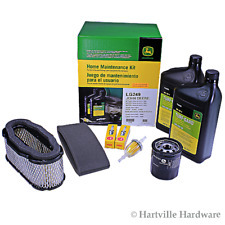 For sale is a NEW engine maintenance kit for the John Deere 650 and 750 compact tractors. CPN6882A, E7NN6714AA,, Fits Ford NAA, Jubilee, 600, 700, 800, 900, 601, 701, 801, 901, and 2000, 4000 >1965. ADAPTOR KIT, ENGINE OIL FILTER, FORD. Massey Ferguson - 1036064M91. Long - 739540. Kubota - 15402-32091, 15831-32430. For sale is a NEW engine maintenance kit for the John Deere 1026R 1023E compact tractors. 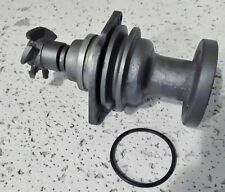 John Deere part number AT344T. Aplication Kubota BX25, BX25D Tractor D902-E2-BX-2 Engine. Qty Filter P/N Maker Manufacture P/N. 1 Air Single P822686 Donaldson K1211-82320. 825928300 Upper Top Radiator Hose. COOLING SYSTEM CUMMINS ( AA4000 - AA4112) 1610-026/13 [1610-026/13] » Hose 825928300. COOLING SYSTEM CUMMINS ( AA4113 - CI2995) 1610-026/15 [1610-026/15] » Hose 825928300. Set of 3 New OEM quailty Glow Plugs. All glow plugs are premium quality not cheap Chinese clones. All photos are taken by JDFarmparts, and are of the actual item you will receive. 7 n ( 799 ￼ ). 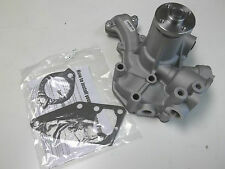 Carburetor kit with float for Marvel Schebler carburetors. Kit includes manifold to carburetor gasket, bowl to top gasket, nozzle gasket, power adj valve gasket, throttle shaft neoprene seal, choke shaft felt seal, seal retainers, plugs, idle screw and spring, float retaining pin, needle valve, seat and gasket. Ford 800 900 2000 4000 with Marvel Schebler tag # TSX662 TSX769 TSX813 TSX977. Michigantractorparts strives to supply its customers with quality replacement tractor parts at competitive prices. Not only do we offer new parts for ag and industrial applications, we also have a large inventory of used salvage parts, and rebuilt parts as well. We also work on tractors in our shop, making us not only a great source for your parts needs, but also a superior knowledge base to make sure you get your machine back up and running. As used on: 11 PONY, 16 PACER, 21 COLT, 22, 22K, 23 MUSTANG, 23K, 30, 30K, 33, 40, 44, 44 SPECIAL, 44 SPECIAL K, 44-6K, 55, 101 JR, 333, 333K, 444, 444K, 555, 555K;Industrial (incl. Loader/Backhoe): 303, 402, 404. Massey Ferguson: MF35, MH50, MF50, MF65, MF135, MF150, MF165, MF175, MF180, & MF1100. Also Massey: 20, 35, 40, 50, 65, 135, 150, 165, 175, 180, 255, 265, 285, 1100, 2200, 3165. Massey Industrials: 202, 204, 302 & 304. John Deere Model JX85, 14SC, and 14SX Walk-Behind Mowers. Kit Contents. TO20, TO30, TO35, F40, MH50. MASSEY FERGUSON TRACTOR. MASSEY - HARRIS TRACTOR. FERGUSON TRACTOR. IGNITION TUNE UP & MAINTENACE KIT . any alterations that may have been made to your tractor. Custom wire set (straight) - Made in USA. 230A, 231, 233, 333, 335, 340, 340A, 445, 515, 530A, 531, 532, 540, 540A, 545, 2000, 2110, 2120, 2150, 2300, 2310, 2600, 2600V, 2610, 3000, 3055, 3110, 3120, 3150, 3300, 3310, 3330, 3400, 3500, 3550, 3600, 3600V, 3610, 4110, 4140, 4330, 4340, 4400, 4410, 4500, 4600, 4600SU, 4610, 7600. Fits Model : YM1510 F14 F15. REGULATOR FOR YANMAR. 12v, 14.7 volt setting, (6) connector w/pins. 100% Money Back. 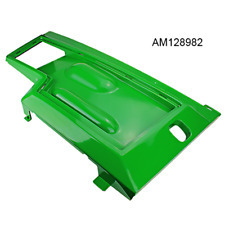 Made to fit Massey Ferguson Industrial Construction models: 20, 20C, 20D, 20F, 200 SERIES, 203, 205, 2135 (TRUF UTIL NARROW), 2244, 30, 30B, 30D, 30D (W/ A4.212 OR AD4.236 PERKINS ENGIN, 30E, 30H, 302, 304, 3165, 32, 356, 38, 40B, 50A, 50B (W/ A4.212 OR AD4.236 PERKINS ENGIN, 50D (W/ A4.212 OR AD4.236 PERKINS ENGINE, 50E (W/ A4.212 OR AD4.236 PERKINS ENGIN, 60H (W/ A4.248 PERKINS ENGINE). ). A genuine John Deere #M48123 Headlight Lens. Genuine John Deere OEM Lens #M48123. Part NumbersA146584, A146584-R, A146585, A36979, A37758, A48363, A48363N, G11939, A39074. John Deere 770, 770A, 790 WITH 3TNE84 ENGINE. John Deere 110 With 4TNE84 Yanmar Engine. John Deere 575 Skid Steer ,W/JTN82E Yanmar Motor. Yanmar SUPER 4. Yanmar FX20P, FX24, FX26, FX28, FX32, FX42, F18, FX18, F20, FX20, F22, FX22. 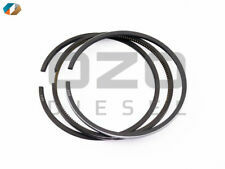 Replaces Kubota OEM part numbers: 15261-65510, 15261-65513, 15261-65512, 15521-65510. All glow plugs are premium quality not cheap Chinese clones. Good Value t 3 ( 74. Holy carp it got here quick. ).